Maybe we don’t need to talk about Jesus? It is true that the results of the report can be viewed in different ways – there are some positives in there but of course the press are always going to leap to the juiciest statistics first. I just watched a video that summarises the findings of the report whose conclusion is that we should talk about Jesus more to people. Oddly, that is not the conclusion of the press articles, or the actual report itself which shows that only 1 in 5 people wants to hear more about Jesus (admittedly, the video suggests focusing on this 1 in 5 – but how do you know if a person is the 1 in 5?). 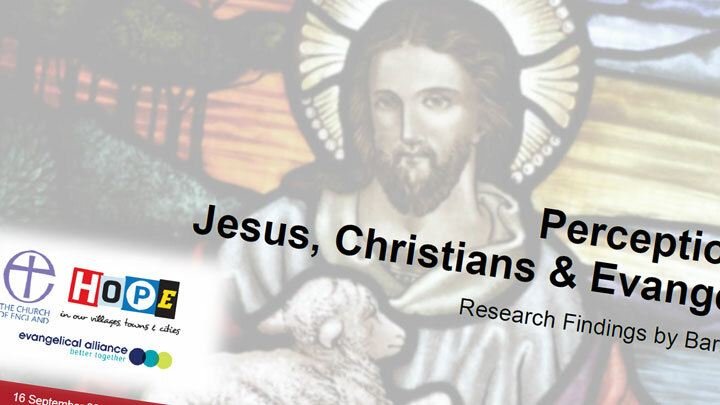 A table on page 20 of the report states that of people who spoke to a practising Christian about their faith, 59% did not want to know more about Jesus! Perhaps we need to rethink how we share our faith. I’m not convinced that the best way is to ask people if they want to know about Jesus. It reminds me of when we lived in Dewsbury and some earnest Christians came to my door to offer me a copy of the Jesus film on video. I had a chat and gently tried to encourage them in what they were doing, one of them said ‘we went to a Muslim family’s house and do you know, they said they weren’t interested. But the film’s good, it’s free!’ I replied ‘if a Muslim came to your door and asked you if you wanted a free film about the life of Mohammed would you want it?’ – deathly silence. Said it all. I’ve had the privilege this year of preparing some adults for confirmation. The last session we had was about sharing our faith and how we do it. Interestingly, their experience chimes with the results of this seemingly depressing survey. When I said ‘some people think evangelism is saying to people ‘you need to accept Jesus into your life” one of the people in my group said ‘I’d have run a mile!’ And yet they are excited about Jesus now and coming to faith. This has happened through the quiet work of the Holy Spirit alongside a lively welcoming congregation – not through having a ‘conversation about Jesus’. What I find curious about the whole thing is that the authors were shocked…. personally I found the perceptions more positive than I would have expected. Most, including me will avoid the harshness of tone of the average street preacher, yet one in five are interested in pursing a conversation… this is despite the fact that only one in two felt comfortable… perhaps an interesting question is how to so enjoy our faith that others feel comfortable talking to us about it? We are part way there, after all from the Powerpoint we see that English non-Christians attribute more positive than negative qualities to the Christians they know.